Vincenzo Nibali endured a tough summer because of a Tour de France crash, and now he's looking forward. Vincenzo Nibali’s bid for a dream ending to erase his nightmare summer of 2018 simply ran out of gas Saturday. The 34-year-old Italian star gave everything to try to defend his Giro di Lombardia title and end the season the way he started it, with an Italian monument victory. While his audaciousness paid off with victory at Milano-Sanremo, he ran into a superior Thibaut Pinot (Groupama-FDJ) in the steep hills of northern Italy in Lombardia. Even seeing Nibali in the mix over the weekend says much about his character and determination. Italy’s self-styled shark suffered a terrible back injury on Alpe d’Huez in July. A return at the Vuelta a España put him in decent shape for the world championships, but it was only Saturday that a near-fully recovered Nibali was back in fighting form. Nibali ends his 2018 campaign with question marks about his future. 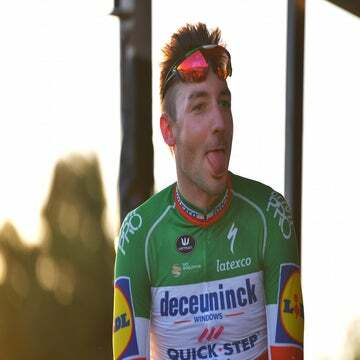 He shrugged off reports that he’s on the market — “the fruit market or meat market?” he said with a laugh to Italian reporters — and insisted that he will stay with Bahrain-Merida in 2019. At 34, Nibali is among the few active riders who have won a grand tour. He’s the only rider to win a Tour de France since the emergence of Team Sky as the Tour dominator in 2012, winning in 2014 — the year Chris Froome crashed out. 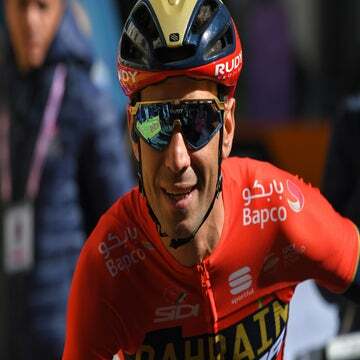 Can Nibali still be a factor at the Tour? This year, he went all in for yellow and skipped the Giro in part to arrive in July in optimal condition. Despite some early hiccups, Nibali seemed to be in pole position when disaster struck on the Alpe. He crashed hard on his back and endured a painfully long transfer off the mountain in an ambulance. He luckily avoided more serious injury, but his back was fractured and his Tour dreams shattered in an instant. 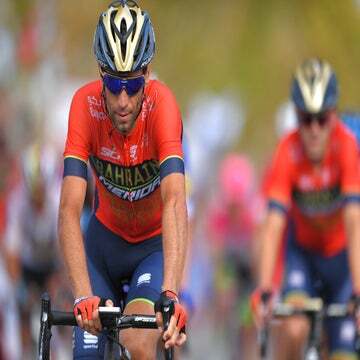 Nibali limped through the Vuelta and worlds, and showed glimpses of his full potential Saturday on the roads he knows well. Pinot dropped him on the final climb, but he countered out of a chase group to finish second. It was pure Nibali. Perhaps more than any rider in the bunch, Nibali has the ability to pull something magical out of his hat. He did it in the 2016 Giro and again on the Via Roma to beat the pack at Milano-Sanremo this spring. Bahrain-Merida is bringing on Rohan Dennis and Dylan Teus, but Nibali remains the gravitational center of the team. One team insider said staffers have full confidence that Nibali can win at least one more grand tour in his career. For next year, Nibali hinted that he’s putting the Giro back on his radar.